Home » Personal Computing » Gaming » Is The Alienware AW958 The Beginning Of The End Of Razer Mouse Dominance? This blog was written by Patrick “Pico” Moorhead. You can see his bio below. PC gaming mice are an essential aspect of how well you participate in gaming. I have had the pleasure of trying out close to 25 mice over my gaming career and believe the gaming mouse is as vital to the quality of your mitt while playing catcher in baseball. 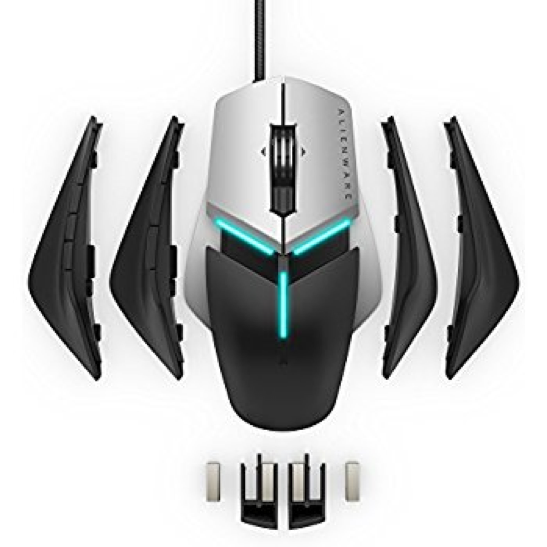 One of Alienware’s newest release in the mouse game is the AW958 and is one of the more unique peripherals for PC gaming. The AW958 grabbed my attention the day I saw it on the website. The retail packaging stands out as well, and its magnetic windows exude high quality. Aesthetically, the mouse is looking super good with the LEDs, shiny mouse buttons and interchangeable side modules. The AW958 is full of features and customizations. It has on the fly changeable DPI just by pressing one button behind the scroll wheel. The AW958 has two ports in the back of the mouse for the weights. The tray you put in the port has two slots for removable weights. Each weight is five grams so you can get the mouse to precisely how you want it. On the side of the mouse, there are swappable side grips that use magnets to attach itself to the mouse. These grips make it able to swap genres of games. The side grip that contains six buttons oppose to two would be for games like World of Warcraft, Diablo III, MOBA’s, and MMOs. Two buttons on the mouse are mainly directed towards first-person shooting type games like Overwatch, CSGO, and R6S. Alienware did a magnificent job at making the mouse fully customizable with weight, grips, DPI, and side button changes. Even with all the AW958 customizations, I felt that for my gameplay, the mouse lacks some simple issues that make a big difference. I do recognize this could be different for other gamers with different-sized hands, fingers and gaming styles. For me, the AW958 is too wide on the bottom and has little to no grip on the top making it a volcano-shaped mouse when looking at it from the back. In my opinion, the mouse buttons are too flat and don’t rest well with the fingers. Overall, many people complain how long the mouse is but that’s not the issue you don’t see people complaining about the Logitech G900, it’s too broad without support on the top. I could see this mouse loved and appreciated by mainly casual gamers, video editors, or people who don’t have a die-hard main game. If Alienware made the mouse more ergonomic and they kept all the features, Alienware could dominate the competitors. By “more ergonomic,” I specifically mean fitting better with the palm of your hand. The curve on the right side of the mouse is throwing my gameplay off ergonomically. I have been mainly using Razer gear all my life, but if Alienware makes the mouse more slim and ergonomic, I could see making a change. Most Razer peripherals lack physical, real-time change. 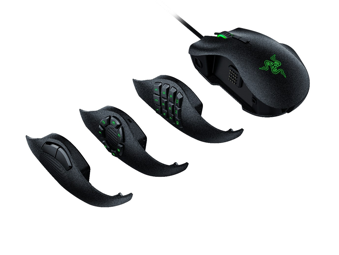 Right now the only Razer mouse that has some significant physical change to it is the Razer Naga Trinity that was recently released, which can change the mouse to an MMO, MOBA, or FPS mouse. The AW958 is a massive improvement over the company’s previous mice with its high-quality packaging and customization capabilities. While I didn’t find it as ergonomic as I would have liked, other gamers may see it differently based on their hand shape and size. The AW958 retails for $74.99 on Dell.com or $69.99 for Prime members on Amazon.com. If considering the AW958, you should also consider the Razer Naga Trinity for $98 on Amazon.com. Pico has been playing PC games for as long as he has been walking. His first PC game he truly loved was World of Warcraft Wrath of the Lich King in 2008 and is actively playing the Blizzard game Overwatch. His favorite media entertainer is Sodapoppin (Chance Morris) on Twitch. Pico only games on the PC and not only likes gaming but also is interested in computer builds, displays, and peripherals. His current rig is a DIY tower with Ryzen 7 CPU, NVIDIA GTX 1080Ti founders edition GPU, 512GB Samsung SSD, Alienware AW25 25” display with NVIDIA G-Sync, Razer Basilisk, Razer Blackwidow X Chroma Mercury edition, Razer Kraken 7.2 Mercury, Blue Yeti. Pico resides in Austin, Texas and is currently a freshman in high school.